Michael D. Quinn is a partner at Mahon, Quinn & Mahon. A 1990 graduate of American International College in Springfield, Massachusetts, Quinn was named to Who's Who at American Colleges and Universities in 1989. 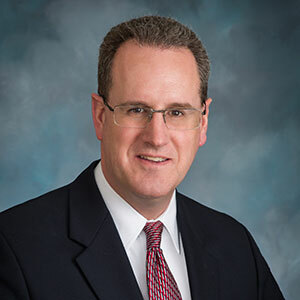 Attorney Quinn earned his law degree from Thomas M. Cooley Law School in Lansing, Michigan and was admitted to the Connecticut Bar in 1998. Quinn joined the firm in January 1999 and has been a partner since April 2006. He was previously employed as an analyst with the Special Liability Coverage Unit of Travelers Property Casualty Corporation in Farmington, Connecticut. In the past, Quinn has been a member and Chairman of the Board of Commissioners of the Meriden Housing Authority, a member of the Meriden YMCA Board of Directors, and a member and President of the Board of Directors of Meriden-Wallingford Chrysalis, Inc., the area's domestic violence support service agency. Attorney Quinn served as the Treasurer of the Meriden Democratic Town Committee and was the Chief Election Moderator for the Democratic Party for local elections. Attorney Quinn’s vast experience in the criminal courts of Connecticut allows him to provide effective defenses to our criminal and DUI clients. Attorney Quinn is a member and the former vice-president of the Meriden-Wallingford-Southington-Cheshire Bar Association, a member of the Connecticut and American Bar Associations, and the Connecticut Trial Lawyers Association. Quinn currently serves as a member of the Connecticut Commission on Judicial Compensation, the Statewide Grievance Committee as an alternate member, President of the Meriden Firefighters Benevolent Society, Vice President of the Connecticut Fire Photographers Association, and the board of directors of the Meriden Hall of Fame Association. A lifelong Meriden resident, Attorney Quinn is highly involved in the Meriden community. Extremely active in civic matters, Quinn served as the Corporation Counsel for the City of Meriden from 2007 to 2014. In his spare time, he is an avid softball player, golfer, and fire engine photographer.